The roll of the eyes, when you say “we are out of ketchup and coffee.” Because they know what’s coming. They know that ketchup is only the tip of the iceberg. They know that you will stop in the clearance section and browse the clothing department. Don’t even mention the kitchenware! Aaaaanyways, MY Husband hates shopping. Browsing the aisles, searching for a new kind of the product – that does not have any appeal. Women looooove shopping. I love shopping! Sure I have a list with me. I always shop with my kids, so I need the list like my right arm. Otherwise, we would be eating scrambled eggs for breakfast, lunch and dinner. But I love to browse. I tend to drift off from our route into a bakeware section. Or cheese section. Or fruit stands! The clearance sign – it’s all it’s fault I say. You are thinking: it’s on sale! It’s a great deal! I am getting it! I have been there, ladies. Because, when you buy on sale – it’s like you are saving making money! Right? I would bet a plate full of brownies, that our husbands don’t agree. But they figured out a way to deal with it! They make up a strategy and grab the bull by it’s horns! “Let me do the shopping today. You just relax.” – he says. ” I can do it in ten!” – he thinks. “I am staying home with the kids… You think I can relax?” – I think. Walk in, get what you need, pay and get out! That’s how they do it. Just like my Hubby admired my homemade marshmallows, sitting comfortably on a plate in front of him. Perfection was the word he used. Better than store bought might have been exclaimed. Haha! I love this! My dad always teases my step-mom about how much money she “saved” them when she comes home from a marathon shopping trip. “We must be rich now, after all the money you've saved us!” he jokes with her. It always cracks me up. I've wanted to try making homemade marshmallows for a long time. With smores season quickly approaching, I think I'm going to finally give them a go. Right? 🙂 Thank you, Maggie! lol But ohhh so worth it! Thank you! Your marshmallows look amazing..never made them before! Would love to try it sometimes! When I send my hubby shopping I almost always get one or two phone calls…but he doesn't mind picking up a few items for me 🙂 And he's much less likely to buy impulse items! Yep, I know what you mean :)Thank you, Lizzy! I love to go grocery shopping and shop for kitchen gadgets. your marshmallows look perfect – so soft and fluffy! 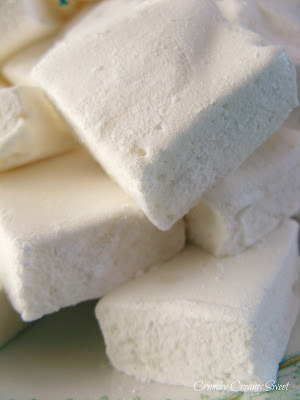 I have never made, and I have never had homemade marshmallows, but they look so much better than the store bought ones!! I hope you will try to make them or I will have to send you some of mine 🙂 Thank you, Catalina! they certainly look like perfection! Those homemade marshmallows look perfect! I find the best shopping is done by myself! Husbands are in a hurry and sometimes friends cannot make a decision on purchases. I do not get to shop that often since I live 2 hours from nowhere so I do make it worthwhile! Marshmallows are on my to do list and yours look amazing. They beat store bought hands down. Great post. Happy Friday! I knew that kitchenware tempts not only me 🙂 Thank you, Susie! lol Good tactic, Kit 🙂 Thank you! Sounds familiar! Nowadays I do the shopping myself, gave him the option of coming with me, and keeping an eye on the kids while out shopping, or keeping an eye on them at home, he chose the later! hahaha! I could shop for hours at the supermarket or even in the bookstore! 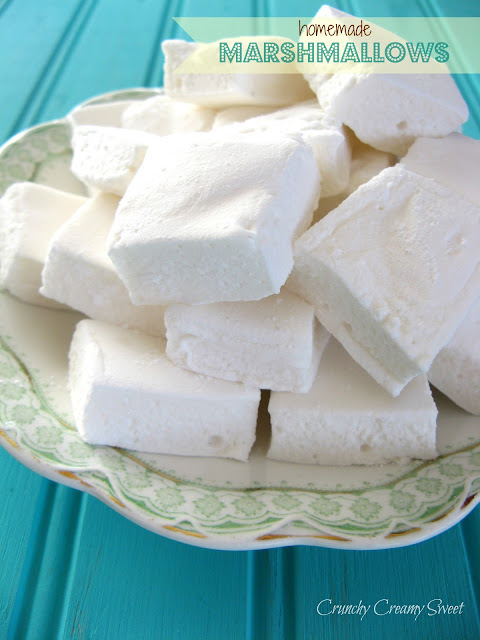 Your marshmallows looks great, I'm feeling guilty each time I see a blog post on marshmallows! My daughter has been asking me to make some for ages! I'm not a fan of marshmallows but these look great – definite perfection! I'd like to try making my own one day. I love food and/or cooking/baking shopping and can easily spend ages browsing. Normal shopping – sometimes I love it, sometimes I hate it and just go in and get what I want and leave. Not a fan of marshmallows?? I bet a plat of brownies, these can change your mind! 🙂 Thank you! Great story! Men can always walk in, grab what they need and out the door. I don't get it! I will be checking out Wilton's now! Your marshmallows look delicious! I've never made them and have always wanted to try it though. It's a must try after seeing this! Oh yes, the tasting samples 🙂 Thank you, Anita! You beat me to it! Oh my goodness homemade marshmallows have been on the to post list for some time! Deliciousness!